Woodbridge, VA. (June 9, 2017) – Nikki Blue knew that she was different from other girls. One day, her slice of the American dream would include a white picket fence and a wife. While she looks like a debutante, she has the swagger of a cocksure boy—a dichotomy that is as mystifying as it is alluring. 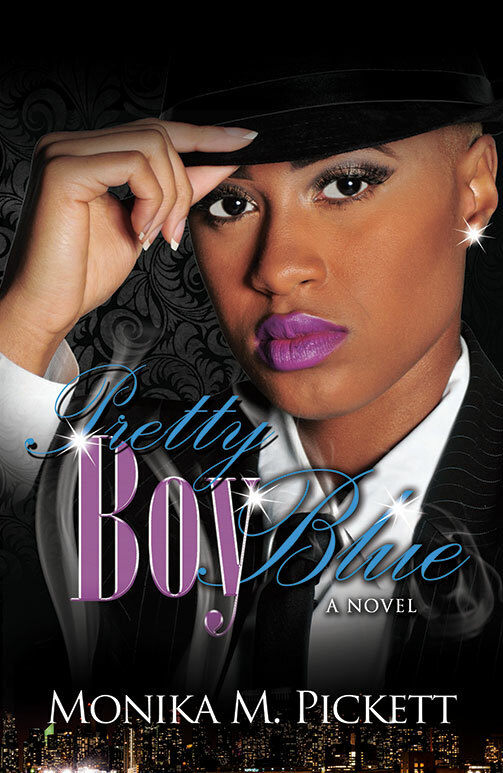 In the debut novel PRETTY BOY BLUE by Monika M. Pickett, Nikki finally learns the value of self-love and the wisdom of the old adage “that which does not kill you will make you stronger.” PRETTY BOY BLUE (Next Level Publishing) is available on Amazon.com and PrettyBoyBlue.com. and struggle to walk in her truth. Pickett based some of the novel’s storyline on her own life, and wrote it to heal from a rare brain disorder. A former advertising sales executive with The Washington Times and the National Society of Black Engineers, Pickett is a veteran of the United States Army who served as a medic in Operation Desert Storm and received an honorable discharge in 1991. She earned a Masters of Human Services degree from Lincoln University, Pennsylvania in 2001 and an MBA from The Johns Hopkins University in Baltimore, Maryland, in 2005. She currently lives in Woodbridge, VA. PRETTY BOY BLUE is available in paperback and e-book formats on Amazon. For more information, contact: www.prettyboyblue.com or info@prettyboy.com.